In Part 2 of our 2011 Gifts for Every Gamer Guide, we examine those brave souls who actually venture out into the wide world of Real Life and carry their gaming on the go. Be it boring commutes to work on a cell phone or Nintendo’s special form of back seat pacification with the wee ones, we’ve picked out some treasures for these outdoor adventurers. After a sluggish start there is little doubt that the 3DS is going to pick up steam this holiday season. A much appreciated price cut coupled with Nintendo finally bringing its software guns to bear on the system is sure to put these little handheld consoles under many a tree. Our pick for the 3DS is the latest release of Mario Kart. 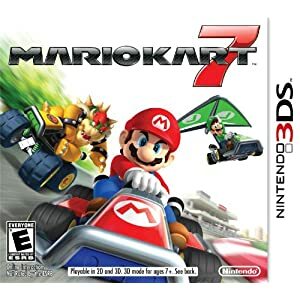 Regardless of age, the zany, fast paced, family friendly combat racing action of Mario Kart 7 is sure to delight. This latest iteration of the beloved racing series not only utilizes the new features of the 3DS such as glasses free 3D and StreetPass, but allows for the importing of Mii characters, local and online multiplayer, as well as introducing gliders to the racetrack. 3DS Gift Card Suggestions: With only one or two really attention getting games in the online store, we suggest a GameStop gift card instead. While making a big splash with an adult female demographic, it would appear that many of these customers have since moved on smartphone based applications. Thus we will be concentrating solely on the traditional DS gamer. 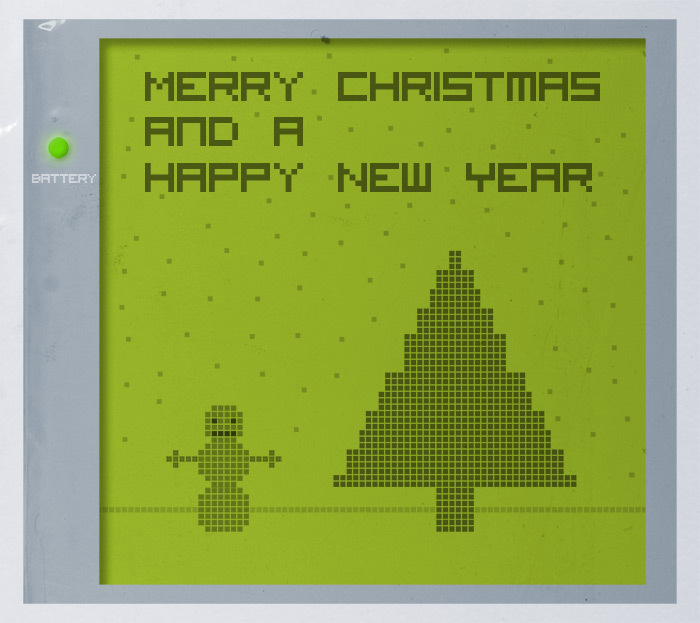 Make no mistake, the original DS family of handhelds is still going strong and very well supported. In fact, it has been such a strong year for games that we had trouble picking one from such amazing titles as Kirby Mass Attack , Pokemon , and Professor Layton that we had to throw caution to the wind and stand up for Nintendo's New Hotness: The 3DS. Surely nothing will get DS fans squealing with delight more than the latest version of their beloved system. As a bonus, all of their old DS cartridges will work in this new device. 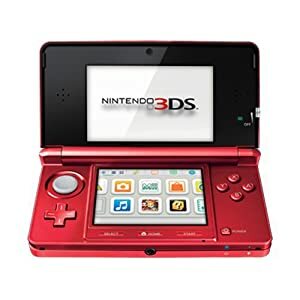 Available in black, blue, or red, the 3DS includes demo software and a connection to Nintendo's online 3D video service so your lucky recipient won’t even feel the pinch for new software out of the box. Heck, it even plays NetFlix and works as a 3D video recorder! There’s a lot to do with the 3DS even before you pop in a game cartridge. DS Gift Card Suggestions: GameStop gift card. Remember, kids have no fun unwrapping gift cards. Consider one of the DS game titles we linked above instead. So… yeah. I suppose there are still people who play legal, non-downloaded games on the PSP. Somewhere. Factor in the fact that the PSP Go was a PSP variant that that doesn’t even allow for the use of physical media, and we’re in a bit of a pickle. Just to give you an idea of how bleak things are on the PSP front, the top 5 entries on the Amazon best sellers list are the system, a case, screen protector, and 2 games from 2010. The only saving grace is Sony’s robust online support for the system. There is a wide variety of movies and games available for download to the PSP. Sadly, due to the lack of developer support and the hardware disruption of the PSP Go, the only option we would suggest would be a PlayStation Network Card (dollars, not PlayStation Plus). Two new categories of devices have begun their encroachment into the world of mobile gaming: Smartphones and tablets. And they are big. Figuratively. For the Android OS flavor of these devices we’ve actually selected two gifts as, even together, these gadgets are as cheap as they are awesome. First up is Ten One Design’s Fling and Fling Mini joysticks. 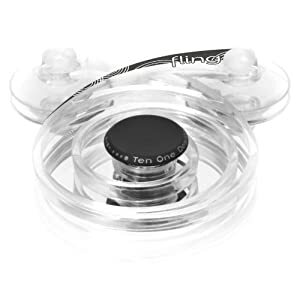 These wonderful little devices suction cup onto the screen and give your phone a real, physical thumbstick to play with rather than the oftentimes finicky virtual touchscreen controllers. Thoughtfully built out of transparent material, the Fling doesn’t obscure the action happening on the screen below. The original Fling was designed for the iPad, but will work fine for 10” Android tablets and costs $9.50. The smartphone sized Fling Mini comes in a 2-pack for $15. Next on our list is the Targus Stylus. 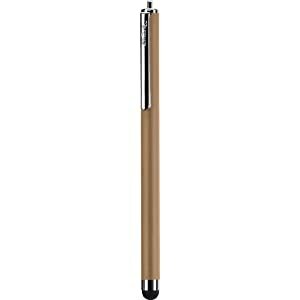 This comfortable, metal bodied stylus is specially designed for those who do a lot of writing, drawing, or simply want more accuracy in their touchscreen experience. Sick of hearing about that certain someone complaining about touchscreen keyboards? Let ‘em poke it with a pen! Retailing for $15, we were able to find these as low as $10 after shipping from a number of Amazon affiliated shops . Best of all, these come in a veritable rainbow of colors. We liked the organic flavor of the tan one. Android Gift Card Suggestion: While Google’s Android Market does not offer gift cards, Amazon’s Appstore for Android does. Get one from there. No single family of tech products has been so disruptive to the industry in recent memory as Apple’s little cult of black slabs. From the get-go, the iPhone made us question such basic concepts as cell phone, social, and connected. Once laughed at as a 10” iPod that doesn’t fit in your pocket, two years later the iPad has spawned over a dozen impersonators and caused pundits to pronounce the computer as we know it dead. For this category, we need to make one very important distinction: The class of the device. In this section we will be focusing solely upon the early adopters who use either an iPhone 4S or an iPad 2. These dual-core powered devices are in a class by themselves due to their processing power and graphics capabilities. If you’re shopping for an owner of older versions of the iPhone, iPod Touch, or iPad, you should refer to our recommendations for Android gamers: The original Fling or Fling Mini controllers and the Targus Stylus . If you are shopping for one of those lucky/spoiled enough to be on the bleeding edge of iTechnology, we have something special in mind. 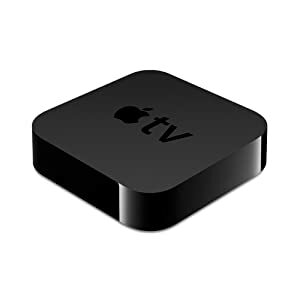 This unassuming little black box is the second generation of Apple TV. Dubbed a “hobby” project by Apple, this used to simply be a Internet video streamer. That changed with the advent of iOS 5’s AirPlay Mirroring. As of the latest firmware update, the Apple TV not only plays all of your movies and music that you have purchased from iTunes (in addition to popular online services such as NetFlix and YouTube), but allows you to wirelessly display what is on your iPhone 4S or iPad 2 right on your big screen TV. That includes games! Oh, and presentations, pictures, blah, blah, YOUR GAMES! Some titles, such as Real Racing 2 and Zombie Gunship, even feature custom support for AirPlay which uses your iDevice as a secondary screen rather than directly mirroring it. With Apple TV your lucky gamer’s cell phone just became their next home gaming console. Talk about industry disruption! Apple Gift Card Suggestions: Unlike the complicated distinction we had to make above regarding which model of iDevice your favorite gamer enjoys, there is only one choice for gift cards: iTunes Gift Cards . It’s not just for music anymore.